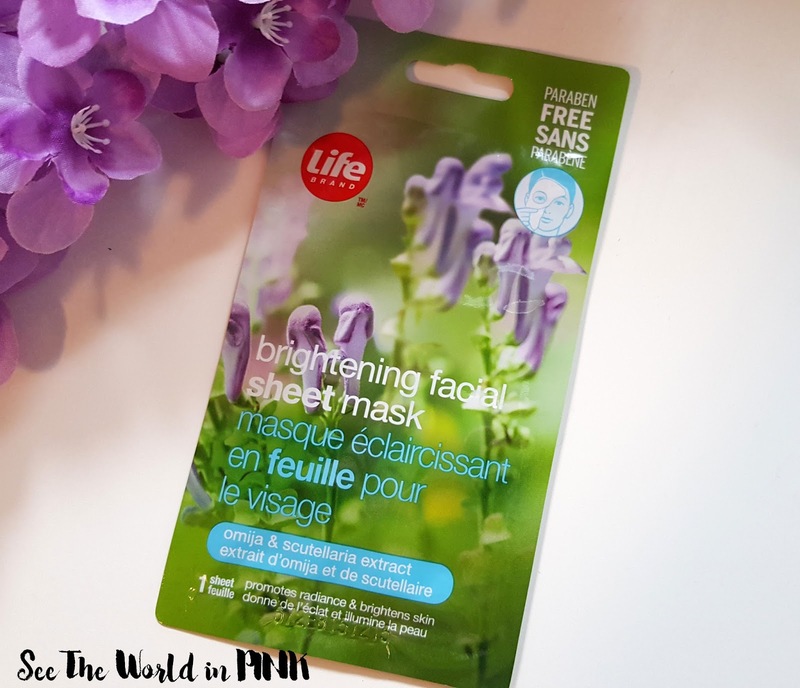 The Life Brand masks are all over Shoppers Drug Mart - they have a ton of different types, both sheet mask and wash off masks! They are well priced at $2 a piece, or 3 for $5. 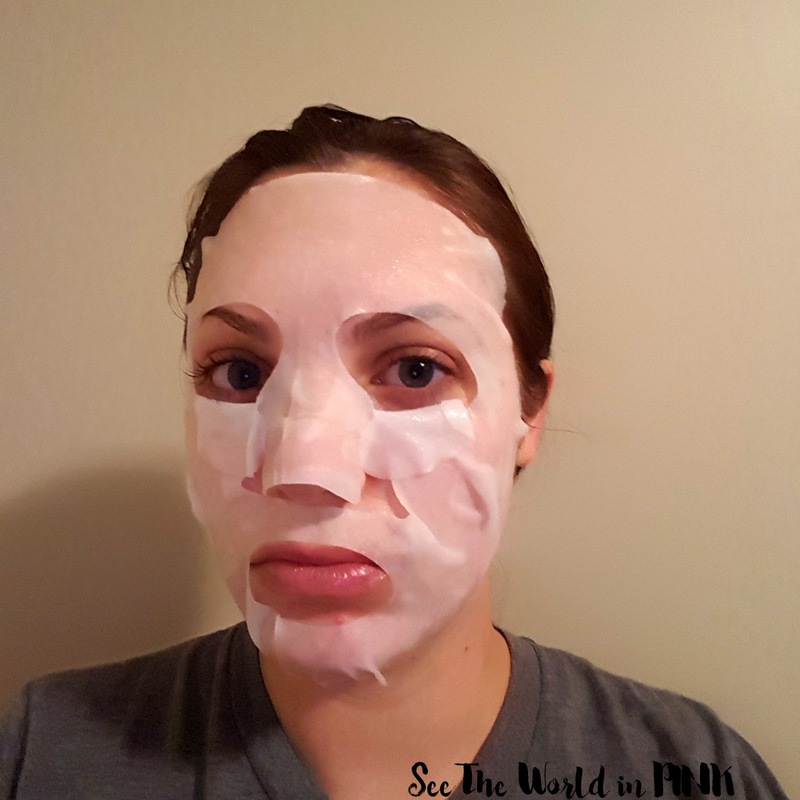 This is one of the sheet mask type masks from Life Brand and I was excited to try it! I love brightening masks so this sounds great! This mask fit well - I'm not a huge fan of the eye flaps personally, but I'm sure some people use them. This mask does have quite a strong floral scent, which made it a little hard to wear for an extended period of time. 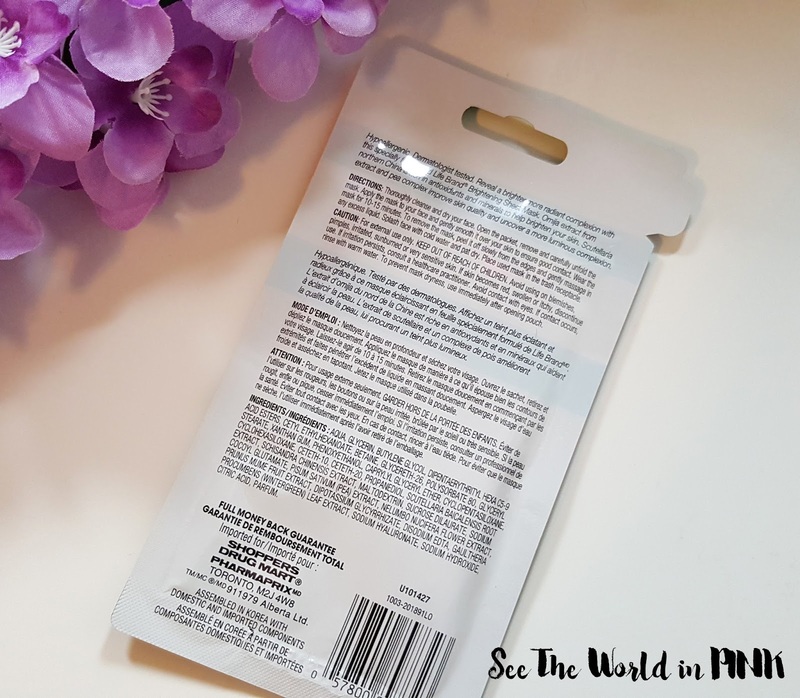 Overall, I was happy with how this made my skin look and feel, I hope the other Life Brand masks I have are not as heavily scented.